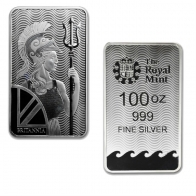 Buy British silver bars, including the newly released British Britannia silver bar. 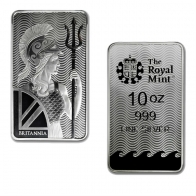 British Britannia silver bars are available in 10 Ounce and 100 Ounce sizes. British Britannia gold bars are available for delivery worldwide or for Swiss storage.